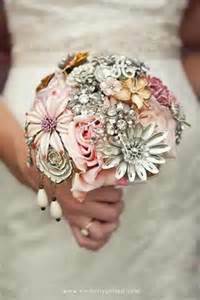 Vintage Necklace Brooch Bridal Bouquet Some Repurposed pieces too. Hi! 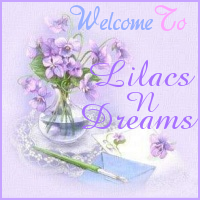 Welcome to LilacsNDreams. 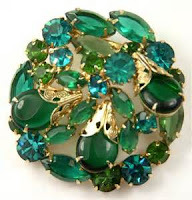 Vintage jewelry, vintage necklaces, vintage brooches, vintage earrings, and Bling...who doesn't like this, right? I like to roam the internet like many others do, look at things, learn, read, imagine, and sometimes you notice quite a bit in doing this too. There are many people out there who sell vintage jewelry of all sorts. Their pieces being offered just "blings" the internet with all of it. Not only do you get to see all kinds of vintage jewelry being offered, being displayed, people researching, but you also will see odds and ends of vintage jewelry pieces that are used in many different ways. Over time some people have enjoyed using their vintage jewelry that is maybe missing a stone, missing quite a few stones, and has been dismembered in some way. They do some amazing creative, repurposed, and upcycled pieces with these things. 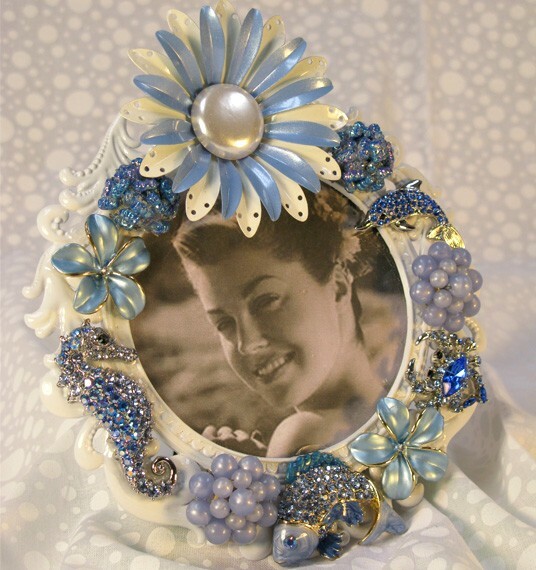 Vintage jewelry has many times been displayed with different picture frames that were designed to hold several pieces. Some pieces have been used for picture frames, making vintage inspired bottle trees, using as curtain tie backs, and another popular one is for wedding bouquets too. Vintage Jewelry can be found everywhere on the internet at venues such as Ecrater, Etsy, Artfire, Ruby Lane, Ebay, and so many more. 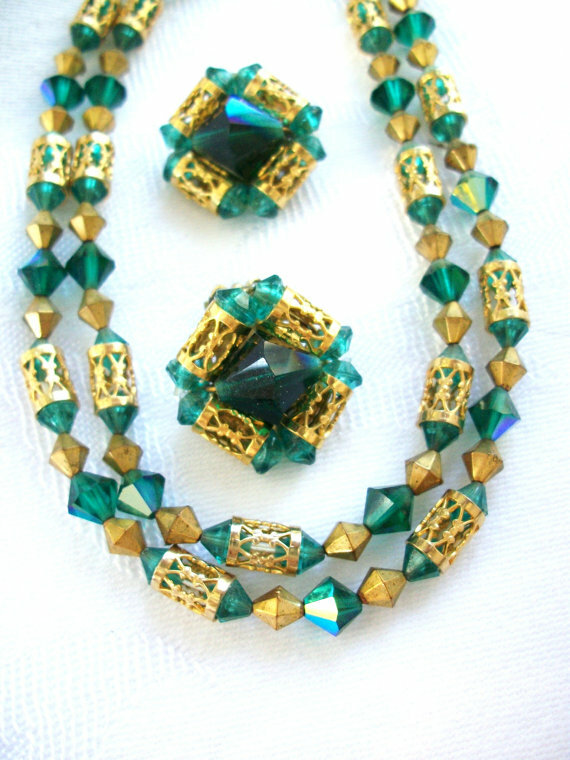 Along with finding regular vintage jewelry you will also find those that have been repurposed too. Etsy is a popular place to find pieces for this, some can be found at Artfire, Ecrater, Ebay, through blogs, and websites too. Above you will see pictures of some of the ideas showing Vintage Jewelry with necklaces, brooches, and earrings. 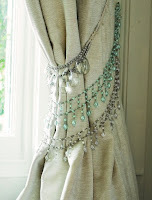 You will also see some sharing of different ways to reuse such pieces too. 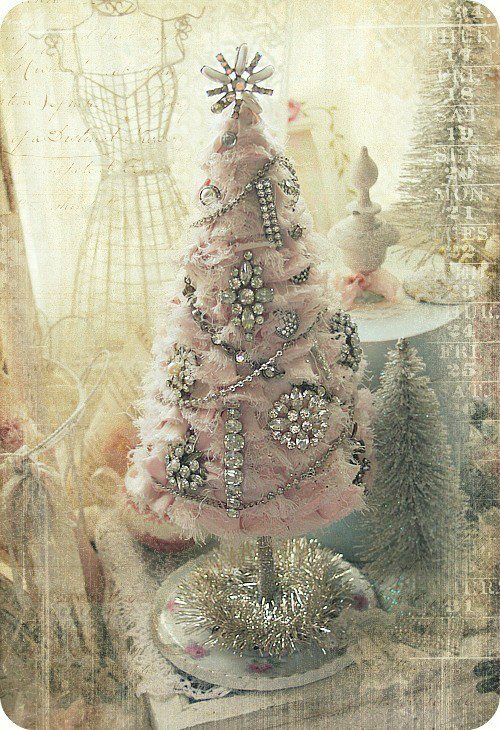 I love the many ways you find the pieces being used, adore it, and of course I just plain like "bling"
Thanks again, and have a wonderful "blinging" day everyone! See Ya! Follow, Chat, Connect . . . . 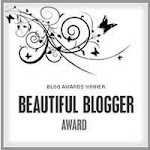 Follow Other Blogs, Thrifters, Artisians, Junkers, Collectors, and Have Some Fun! Welcome to My World . . . filled with my collections, and with bits 'n pieces of this 'n that. I hope that you can also share the love for junk, vintage collectibles, repurposing, handmade, DIY, and simplifying life. Something Old ~ Something New by using old new stock. Thank You to everyone who has taken the time to Visit with Me, Followed Me, and also for the lovely Comments and Suggestions that are shared too. Your support, and your encouragement is really appreciated . . . I read each message as time allows me to, and I do my very best to reply to those that I am able to reach. 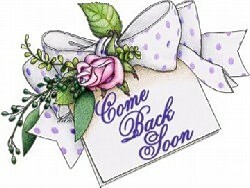 The Door is Always Open, and Everyone is Welcome at LilacsNDreams!